Stanislaus Szulminski was born in 1894 in Odessa, Ukraine. He studied at the Seminary in Zhitomir, and in 1923 he finished the Seminary in Lutsk, in Poland. In 1928 he joined the Pallotine Order. He became professor of theology at the Lutsk Seminary, and for the Congregation of Pallotines at Orszarow, near Warsaw. He made requests several times to the Holy Father and to his superiors in the Congregation, asking permission to go to serve in the USSR. At the same time he completed courses preparing him to be a medical practitioner, in order to be able to serve those in need. He ended up in the town of Nowogrudok when it was occupied by the Soviet forces. In 1939 he was arrested under false charges and sent to prison. In 1940 he was sentenced to five years of camps, and sent to the camp in the town of Ukhta. In 1941 he was amnestied, but he stayed in the camp, possibly voluntarily, to do pastoral service. He died there on the 27th of November 1941. Several times Fr. Stanislaus requested permission to serve in areas where the Church was subjected to persecution, and he was prepared for martyrdom. As he carried out his priestly duties in the camp, he also helped the other prisoners, and shared his last bread with the hungry. In the Congregation of Pallotines there exits a certainty as to the sanctity and martyrdom of Fr. 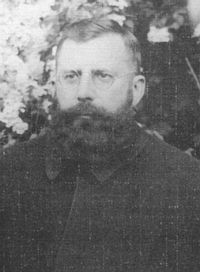 Stanislaus Szulminski. Articles have been published about him in Polish. It's obligatory to refer to Catholic Newmartyrs of Russia web-site, when reprinting.